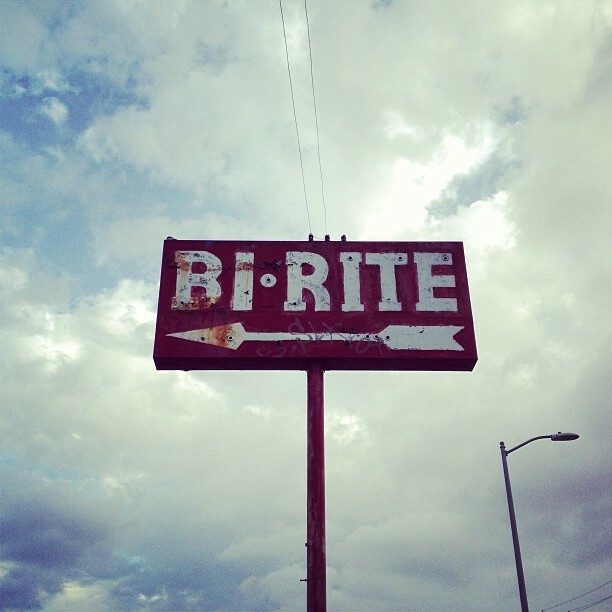 This image of the old Bi-Rite sign in Lincoln Heights I took in May of 2013 will come back to haunt you on the Spoke(n) Art Ride this month. Magic? You want magic? Join the Spoke(n) Art Ride this Saturday, April 11, 2015 for a very special art gallery tour of North East Los Angeles and opening at the Flying Pigeon LA bike shop. This month we’re starting the ride with an art show in our shop (!!!) featuring the work Highland Park-based artist and musician Timothy Sellers​. Here is a link to the Facebook event for the Timothy Sellers opening. If you want to keep up with the ride online, or post updates and photos of it using your phone, we will be doing the same! Use the hashtag #spokenart on Twitter and Instagram or spokenart on Flickr and we can all check out your perspective on the night.